Atlassian Data Center, the self-managed enterprise edition of our products, helps organizations stay ahead of the growing and varied demands of the teams they support while meeting evolving performance, security, and compliance requirements for managed software. In this webinar, you will get a deep dive on Atlassian Data Center and learn about the architecture, key features, and tips for a successful Data Center installation or migration. As Atlassian tools become an increasingly critical element of an organization’s ability to build products and deliver services, IT leaders are faced with the challenge of staying ahead of the growing and varied demands of the teams they support while meeting evolving performance, security, and compliance requirements for managed software. Defining and executing upon a strategy to address these competing demands is critical. We built Atlassian Data Center, the self-managed enterprise edition of our products, to help organizations address these needs. 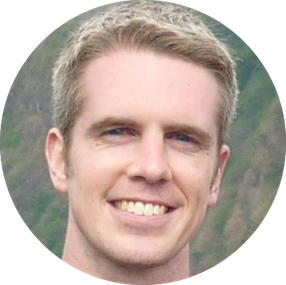 Patrick drives the overall vision and strategy for Atlassian’s Data Center products and is passionate about building strong product teams and processes to tackle big goals. Prior to Atlassian, Patrick spent over 12 years in a variety of senior product management roles. In his free time, Patrick loves making American-style slow-smoked BBQ and watching Alabama football. He also has a black belt in Taekwondo, a blue belt in Brazilian Jiu Jitsu, and jumps at any opportunity to travel and explore new cultures.